Conferences are an amazing way to convey vital information to a large number of employees, peers, or even trainees. 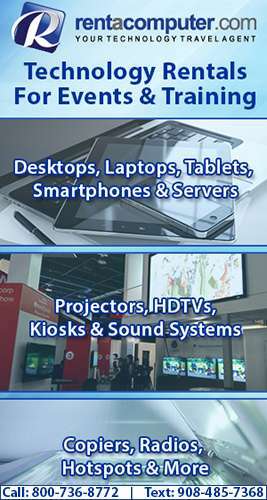 If you want the most out of your conference, you’ll want more than just projectors. While projectors are fine and dandy for effectively presenting through a keynote speaker, you may want to add to the experience by getting a large quantity tablet rental to use custom business or event applications. 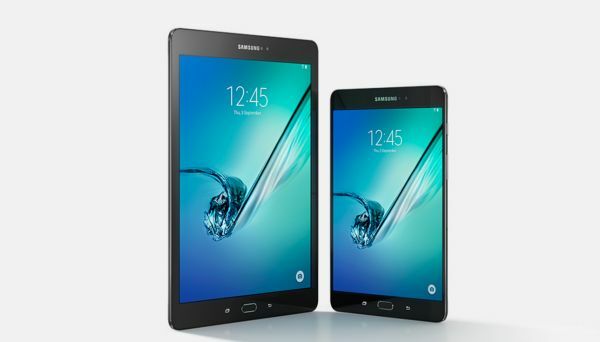 There are many operating systems for tablets which can accommodate your conference needs, which is why we will be covering three tablets you can use for your next conference, instead of one. Whether you need iOS, Android Lollipop, or Windows, your conference can effectively integrate programs on any of these operating systems with a tablet rental. The three devices listed above are tried and true, and will be capable of powering through the obstacles your conference applications or software may present. There are few different phrases, idioms, and proverbs that many of us go by. One saying may be more true than any other one: timing is everything. One simple timing error can cause a disaster. Having bad timing can ruin anything from a first date to quarterly sales for a company. Speaking of quarterly sales involving companies, bad timing may be affecting a large company right now. I’m talking about Microsoft’s Surface tablet sales. According to a sales report recently released by the company, the sales for this particular tablet have plummeted quite a bit. 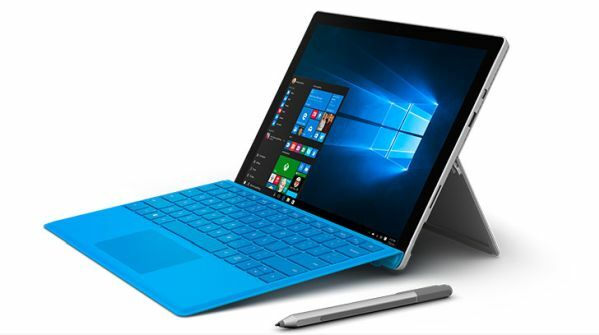 Now Microsoft is looking to see what changes need to be made in order to help bring sales for the Surface back up. While the earnings report was looking pretty rough at a 44% drop in sales, the previous quarter prior to this was the holiday season quarter. Having said that, that can only attribute to so much loss in revenue. I mean we are talking going from $893 million down to $500 million in sales. It almost leaves something to be desired by the market itself in a way. Apple saw some decline as well. 33% loss in revenue is still bad, but Microsoft’s 44% loss is just hard to overlook. You have to figure that since almost a billion dollars of Microsoft’s revenue came from their Surface Tablet back in 2013, you’d think such a decline like that wouldn’t be possible unless something detrimental happened with the product. Even though, hardware wise, there may be nothing wrong with the product itself, there are still some factors that Microsoft may just now be taking into consideration. Yes, you may as well be selling the masses a smaller version of the exact thing that they already have, but if people keep buying it it’s just going to become that much more appealing. With Apple still leading the pack, and products like the iPad Mini and Nexus 7 out on the market currently, Microsoft is being left in the dust with nothing to show for it. However, rumors are beginning to circulate that Microsoft may just get with the times and release something soon. Possibly by mid-May, we could see a new Surface Mini. That may not help though. Another thing to consider is that Apple and it’s software now have access to Microsoft’s Office programs. This was a big deciding factor for most when trying to see what product would be deemed as more “productive” for the customer, and could have hurt Surface sales. The odds are definitely not in Microsoft’s favor at the moment, as far as the Surface tablet goes. If they don’t do something dramatic with the new Surface Mini, they should only expect their revenue for the Surface line to continue declining. 3D Gensture Sensor’s For Your Tablet: Practical Or Not? Recently we have seen a big rise in motion control and 3D gesturing and sensors. Take the Xbox Kinect and the Playstation Move for example. Both are using 3D motion control technology to accurately capture and process your movements to make games more interactive. A fun an and entertaining concept no doubt. But, what about this? What if you were able to use the same type of technology on your smartphone or your tablet? Would it be worth all the commotion it would cause? Would it be practical? Or, would it be just another cheap gimmick to try and reel customers? After, touch screens were designed for, well… touch. The company, Leap Motion, has already seen its motion control product utilized on desktop computers an laptops alike. For those unfamiliar with the device, the Leap Motion Controller, is a sensor that plugs directly into your computer and allows you to take control of your PC’s or laptop’s functions with just simple hand gestures. Well, now they have plans to expand their market. Leap Motion is doing it’s best to see mobile devices, such as your tablet, using its 3D motion control interface. The CEO of the company expects to see this be implemented in new mobile devices by the end of 2014. Since the Leap Motion Controller is a separate device, it would need to be somehow integrated into the hardware of a phone or tablet itself. Recently, the challenges that were faced with integrated the technology into smaller hardware has been overcome and has since seen its way onto an actual product. The HP Envy 17 laptop has actually put the motion control sensor created by Leap into the laptop and has put it out for consumer use. Now the object is to see the same type of technology put into mobile devices for commercial and consumer use. When asked about the possible new functions for the technology, Leap had mentioned that they were working with manufacturers to make the transition as seamless as possible. They are doing their best to make specific gestures fitted for mobile devices. With the ability to use your tablet as a TV remote with gesture-based control functions, Leap has definitely opened up a whole new market with their product. The chance to actually have different devices’ functionalities coincide with one another based on the embedded technology is quite remarkable, but then comes the question on whether or not it could be viewed as practical. When looking at it from a marketing standpoint, having this technology embedded into tablets and other mobile devices already is reason to believe that it is important enough to see proper use and practicality when utilized. It still brings back the thought of, touchscreens being for touch. The “pinch” and “spread” motions are already there for us on the touchscreens. This technology will just allow us the capability to do it in free space above the sensor. The company to trying to see this technology on the mass market anywhere from July to December of 2014, so be on the look out from summer to winter of next year.